Grace Walfall is the Administrative Director for the Montefiore School Health Program. 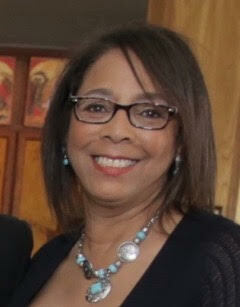 Grace has more than 21 years of experience in community service and organizational development. Prior to being appointed to the position of Administrative Director, Grace was the Director of Community Health Initiatives for the MSHP. In that capacity she led a team of Community Health Organizers who used a public health approach to eliminate health disparities. Prior to joining the MSHP, she was the Executive Director for Cool Girls, Inc., a self-empowerment non-profit organization in Atlanta, GA whose mission is to break the cycles of poverty, low self-esteem and teen pregnancy for girls living in low-income communities. Grace was also an Intervention - Prevention Specialist with DeKalb County School System, where she managed programs designed to reduce tobacco, alcohol, and drug use, teen pregnancy, and violence for the largest school system in Georgia. Grace earned her B.S. in Human Nutrition from Rutgers University and a MBA from Rutgers Business School. Cheryl’s career spanned over 27 years with the Internal Revenue Service. She retired as an IRS Recruitment Specialist in January 2012. As an agent, Cheryl held various positions, including problem resolution officer, quality assurance officer, employment tax specialist, on-the-job instructor and trainer, facilitator, classroom instructor, EEO counselor, and innocent spouse coordinator. She also worked for seven years in the Large-Business & International Division as the foreign residency compliance officer. Cheryl worked international tax law, foreign athletes and entertainers, and traveled domestically and internationally for her work. Cheryl received her degree in Business Administration from Bay Path College, in Longmeadow, Mass. Cheryl’s retirement began first and foremost, to “exhale and enjoy her family and home.” She has turned her love of sewing, quilting and embroidery into a home-based business and operates as Arts by Cy. Cheryl maintains her NJ real estate salesman license and also is an Enrolled Agent with the IRS and trained in forensic accounting. Cheryl works as general bookkeeper for local business and prepares employment tax returns as well as assists in other tax related matters. Cheryl is an avid tennis fan where she volunteers at tournaments across the US. She also volunteers at a local elementary schools' after school program and is a world traveler. She is a member of the IRS-Advancement of Minorities; Connect and Create Artists; Hammonton Arts Society; Hammonton Noyes Museum; Hammonton Economic Restructuring Committee. Sharon has been in the Casino Marketing field for twenty five years. She is currently an Independent Casino Marketing Executive with Host Connections International for Caesars Entertainment. During her 25 years in the casino business, Sharon has successfully held positions as a Marketing Executive, Slot Host, Facility Operations Coordinator, and Casino Host Manager. Sharon’s responsibilities lie in the sales and marketing area where she develops and maintains a rapport with gaming customers, plans and develops marketing campaigns and strategies as well as maintains consistent profitability and comp guidelines. Her previous position, was at Trump Marina Hotel and Casino as a Director of National Marketing where she provided complimentaries within company guidelines to maintain profitability and aggressive telemarketing to new and inactive databases. Sharon has an Associate degree in Marketing and Business Administration from Morrisville Agricultural and Technical College/SUNY New York. After attending Morrisville, she went on to study Business and Marketing at Bergan Community College in Paramus, NJ. Atlantic County Institute of Technology in Hamilton Township, NJ. In her my spare time, she enjoys spending time with family and friends, travelling, working out and time with her two poodles. One of which she will train to be a therapy dog for seniors and children.